The Rochester Institute of Technology’s Summer Math Applications in Science with Hands-on Experience for Girls has been recognized by the Finger Lakes STEM Hub as an exemplary K-12 program in science, technology, engineering and math. 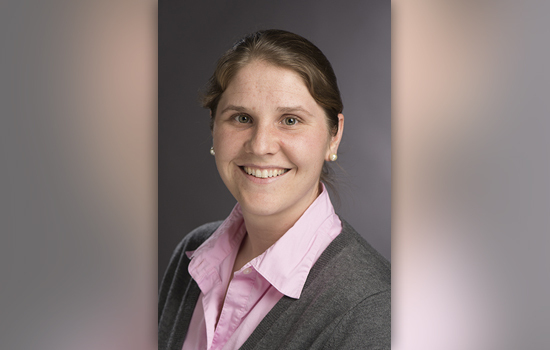 Kara Maki, director of SMASH and assistant professor in RIT’s School of Mathematical Sciences, will be honored for her efforts at the STEM Hub Recognition Awards Luncheon on May 13 at St. John Fisher College. She started SMASH in 2014 in response to alarming statistics from the U.S. Department of Education highlighting the nation’s drop in math and science rankings. Response from students, parents and corporate sponsors has made the program an annual event. The SMASH Experience for Girls gives entering eighth graders a five-day focus on mathematical sciences on the RIT campus. The curriculum emphasizes hands-on activities that connect math skills to real-world problems and develops small-group communication skills. The SMASH experience will be held this year from July 18-22. Support for the program comes, in part, from RIT’s College of Science Dean Sophia Maggelakis, RIT’s Women in Science program and the Center for Advancing STEM Teaching, Learning & Evaluation, or CASTLE, both housed in the College of Science. Past corporate sponsors have included Time Warner Cable, Corning Incorporated Foundation, Paychex, Gloucester Engineering and Pearl Technologies. The pilot was supported by funding from the Society for Applied and Industrial Mathematics, through its partnership with the Moody’s Foundation. In addition, RIT alumni have provided need-based scholarships to SMASH. Maggelakis is this year’s recipient of RIT’s Edwina Award for her contributions in support of gender diversity and inclusiveness. For more information about SMASH, go to https://www.rit.edu/science/smash.